Documentary film maker Dan Gagliasso said of Roy Rogers: “He was always on the side of right and always stuck up for the weak and oppressed. Roy Rogers represented what we hoped America would always stand for.” Roy was not only a movie star, but a radio and TV star in addition to his recording career. 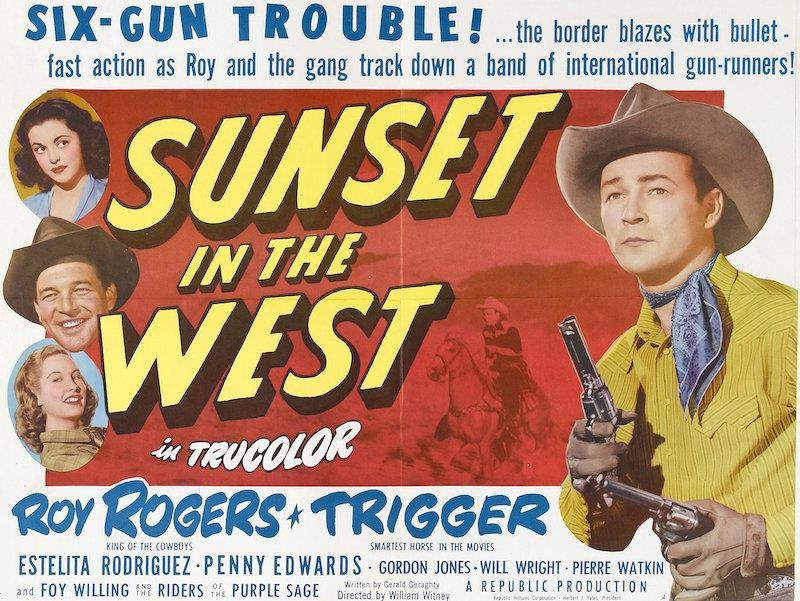 Our first feature is “Sunset in the West” (Republic, 1950) in TrueColor. Starring Roy Rogers, Estelita Rodriguez, Penny Edwards, Gordon Jones and Will Wright. Directed by William Witney. This is a digitally restored print in High Definition. This viewing might even look better than when it premiered on the BIG screen 67 years ago! 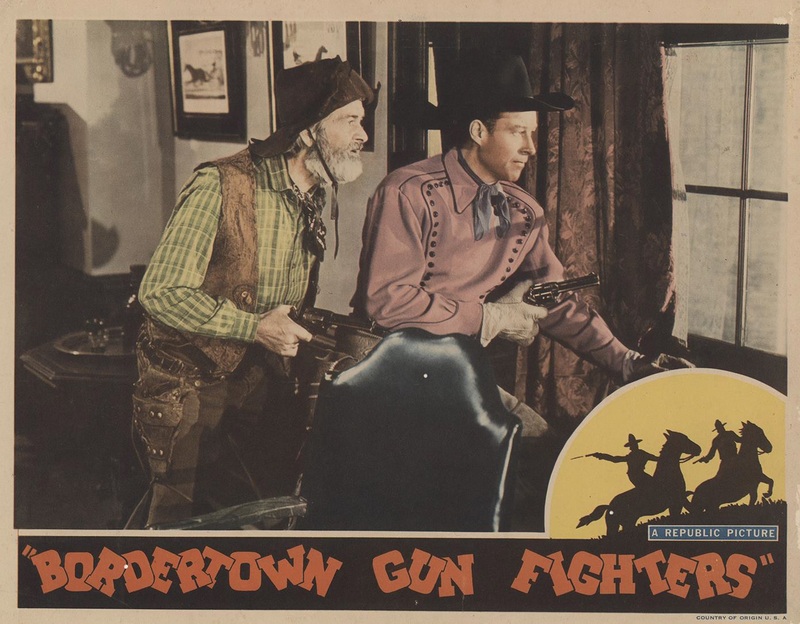 The second feature will be “Bordertown Gun Fighters” starring Bill Elliott and Goldsboro’s own Anne Jeffreys. (Republic, 1943) Also starring George Hayes, Ian Keith and Harry Woods. Directed by Howard Bretherton. And, the Trailblazers will be here to celebrate Roy in song.